Studded Flange Converters - CASCADE PLC - The new home of Cascade Clamps UK Ltd, Suppliers and Manufacturers of pipe fittings to the water & gas industry. 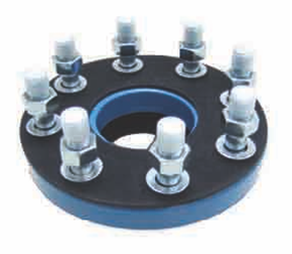 Cascade offer a wide stock of studded flange converters, ideal when the need to step down or up from larger to smaller flanges or when the flange drilling pattern is different to the existing connection. Cascade can manufacture these fittings to client specification in a wide range of sizes and PCD's. These can be for water, gas and petrochemical requirements with different coatings and gaskets supplied with the fitting. Please see our downloadable data sheet for more information or contact us today with your requirements. Standard sizes below, other sizes/patterns available on request.